Andhra Pradesh is One of India's Most Populated States. Andhra Pradesh is one of India's most beautiful coastal states. It's located on the southeastern coastline and takes up most of the eastern side of the country's Deccan Plateau, which is the pointed southern end of the continent, extending into the Bay of Bengal. It's India's fifth most populated state and has roughly 76,210,000 residents! It's India's fourth largest state by area and became an official state on November 1956 through the India States Reorganization Act. 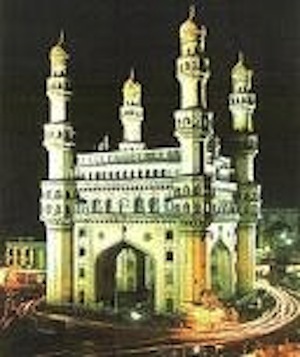 The capital here is Hyderabad, also known as City of Pearls. As of 2010, it was the sixth most popular city in the world to visit! The city was founded in 1951 by Muhammad Quli Qutb Shah. The twin cities of Hyderabad and Secunderabad are ruled under one political power known as, The Greater Hyderabad Municipal Corporation. Hyderabad is one of the major spots for the IT industry in India. IT is so big here that people gave it the nickname "Cyberabad". In addition to the IT industry, various biotech and pharmaceutical companies have business operations established in Hyderabad. The state is home to the Telugu Film Industry, the second-largest film industry location in India, known popularly as Tollywood. Bollywood is India's largest film production location. If you're a person who likes water, then this is the place for you. The state has India's second longest coastline of more than 604 miles. While more languages are spoken in the region, Telugu and Urdu are the official languages here. It lies between 12°41' and 22°N latitude and 77° and 84°40'E longitude, and is bordered by Maharashtra, Chhattisgarh and Orrisa to its north, the Bay of Bengal to its East, Tamil Nadu to its south and Karnataka to its west. Two important Indian rivers run through the state; the Godavari and the Krishna Rivers. The state's climate differs drastically depending on the season and on the amount of monsoon rain it sees. During July to September, the state receives heavy rainfall and from October through November, low-pressure systems and tropical cyclones form in the Bay of Bengal. These and Northeastern Monsoons, bring rains to the southern and coastal regions of the state. November, December, January, and February are the winter months in Andrha Pradesh. Since the state has a long coastal belt the winters are not very cold. The range of winter temperature is generally 60 degrees Fahrenheit to 75 degrees Fahrenheit. The number one crop grown in Andhra Pradesh is rice. Over seventy-seven percent of the State's agricultural crop is rice. The economy of the state is one of India's strongest. According to a 2010 list by Forbes magazine, seven of India's richest people live in Andhra Pradesh. The state has one of India's higher GDP's. There are many great museums to visit that showcase the culture of the people. The Salar Jung Museum in Hyderabad features a collection of sculptures, paintings, and religious artifacts. The Archaeological Museum at Amaravati features relics of nearby ancient sites, and the Visakha Museum, which displays the history of the states before India gained its independence from Britain. The Indian food of Andhra Pradesh is some of the spiciest in the country. There are many variations to the recipes, which depend on geographical regions, caste, and traditions, but they all include rice. Pickles and chutneys, called thoku or pachadi are popular in the state too. Meat is eaten here, and is usually served with vegetables and greens, made with masala spices. Hyderabadi Biryani, fish curry, brinjal curry, and Gongura pachadi are the more common dishes of Andhra pradesh. Classical dance in is popular here and can is performed by men and women. Kuchipudi is the name of the state's best-known classical dance form. Like anywhere in India, festivals are celebrated here. The most popular are probably Ugadi, which is the new year celebration, and Sankranthi, which is a harvest festival of agriculture praise. The state produces about 200 movies a year in its Tollywood region. Tollywood produces the highest number of movies for a particular language in India per year. Andhra Pradesh has a mixture of all religions with Hinduism as its most followed religion. Consequently, the state has many notable Hindu-pilgrimage places. Islam is also practiced widely in the state. Overall, Andhra Pradesh is a crowded and exciting state that has a lot going on! Leave Andhra Pradesh to discover other India States. Read our helpful advice on traveling to India.